Customers love working with us! 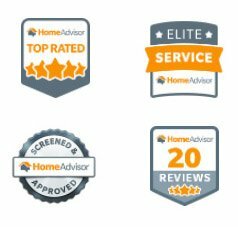 I found this company through the Home Adviser website. Their response is super quick and they were at my home within 3 hours to fix the problem… The technician is truly honest, knowledgeable and has a great attitude which I find very important and I am recommending this company to all my family and friends. I had no idea there was that much crap in my dryer vent! I thought my dryer needed to be replaced. Nope, just clean out! Thanks DVCN! The guys that came for the job were very professional, they cleaned up after they finished and they were wonderful. I would highly recommend them. Good experience. I will definitely call again for service. Showed up on time and did good work. Joe was knowledgeable, patient, effective & efficient!